The first assignment of the year for the 52Frames project was, as it is traditional, “Self-Portrait“. 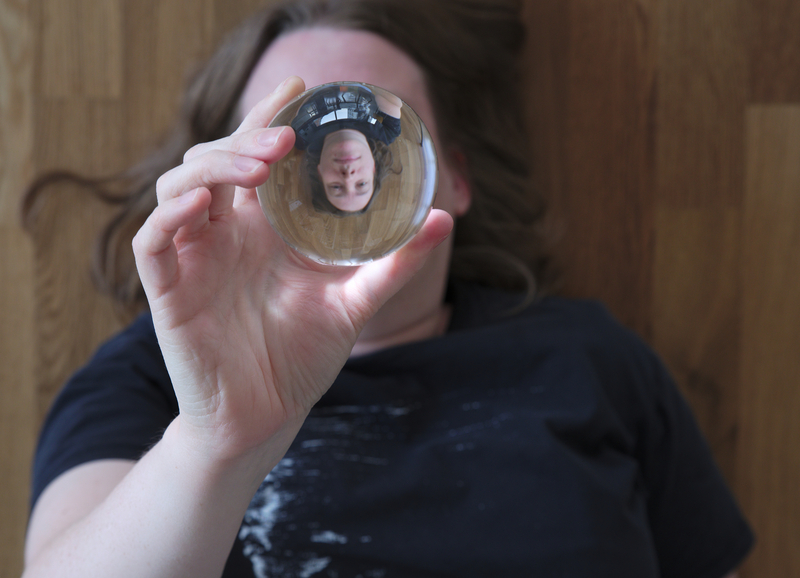 I got a crystal ball for Christmas that I needed to take for a first spin, so that’s what I did. I played quite a bit with different ways of getting a proper focus – increasing the f-stop to get more “probability of being in focus”, trying to let the camera do its thing with autofocus and pray for the best, setting the camera at “this seems like a pretty good distance” manually and moving the ball up and down, taking multiple pictures as I went… In the end, the one I eventually chose was one of the earlier in the set. I like the hand position, and I also like the curl of hair that happened to go behind it.